Summer’s end is near. Although I adore the fall, I am sad to say goodbye to the lovely warm weather, skirts and slippers, and beach BBQ’s. Summer always feels restorative to my soul. Since I work with college students, summer is an extended break from work. I hail from Hawaii, where there is essentially year-round summer weather, so the summer months feel like home. 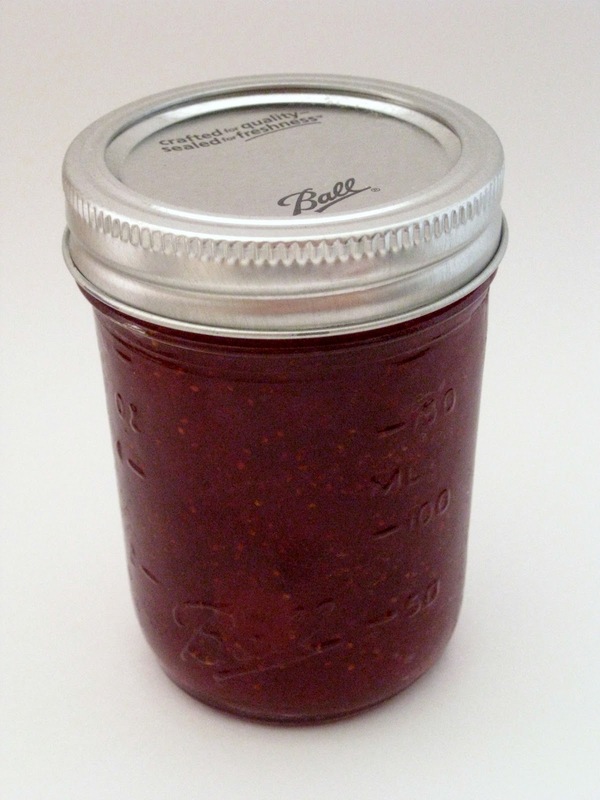 In the waning days of summer, I have been preserving a taste of the season with this homemade strawberry jam. Strawberry jam…mmmm! Strawberry jam on toast. Strawberry jam with peanut butter. Strawberry jam on pancakes. It has become a favorite in our house. This is among the simplest jam recipes I have come across. Just three ingredients, and no pectin needed. Quick! There’s still time to make some jam, and save a bit of the summer for yourself. In a wide bowl, crush strawberries in batches until you have 4 cups of mashed berry. In a heavy bottomed saucepan, mix together the strawberries, sugar, and lemon juice. Stir over low heat until the sugar is dissolved. Increase heat to high, and bring the mixture to a full rolling boil. Boil, stirring often, until the mixture reaches 220 degrees. Transfer to hot sterile jars, leaving 1/4 to 1/2 inch headspace, and seal. Process in a water bath. If the jam is going to be eaten right away, don’t bother with processing, and just refrigerate. Makes about 6 half pints.